DaGeDar™ (pronounced DAH-geh-DAAR) collectible supercharged battle balls have a special feel and weight that almost demand to be raced! Each DaGeDar™ battle ball boasts a graphic design that reflects the true energy contained within. 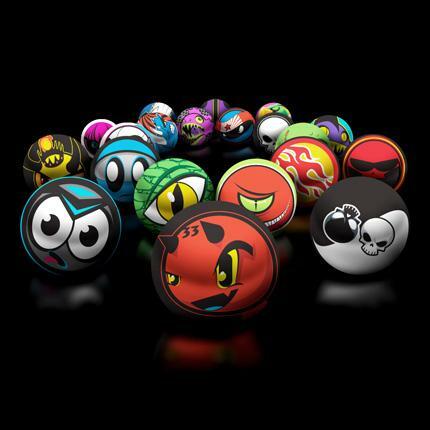 More than 240 different DaGeDar™ ball graphics are planned for release this year, with varying degrees of rarity. Each ball carries a special code number that when registered on the DaGeDar™ website will reveal the true spirit contained within the DaGeDar™ ball, as well as its hidden powers, which can assist in racing strategy and let kids unleash the power within!